I’m so impressed with moms who don’t drink coffee. I mean seriously? Apart from the tendency of toddlers to stay awake throughout the night and require constant supervision during the day, there’s diaper changes, feedings, cleaning up the feedings, cleaning up all the other messes … caffeine is seriously the next best thing to sleep. It’s recommended you wait until kids are three before they can have screen time, and then just two hours a day (plan your hours wisely). Good luck waiting until they’re three, especially when they have older siblings who watch Backyardigans religiously. A personal recommendation of mine is the Bible App for Kids by YouVersion. My autistic son especially loves it, as the graphics are interactive with sounds and animation . If you’re the type of person who gets stressed out when your house is a mess, you’re really in for it once your kid starts walking. I recommend deciding what you can live with. I guarantee that having a perpetually spotless house is not worth the stress it puts on you and your family. What I personally do is clean the kitchen after meals (and snacks. So that’s approximately 80 million times a day) and all the kid clutter during naps and after bedtime. That way the house is mostly clean at least twice a day. If your little one is getting whiny when you need to do the dishes, give ’em a snack. When you’re in the car (even if it’s for ten minutes), snacks go a long way to guaranteeing a peaceful journey. Park trip: snack. Playing outside: snack. Not actually mealtime: snack. In the middle of meal time: snack. Side note: can someone please tell me why they prefer grated cheese over any other form of cheese, even string cheese??!! One of the biggest energy-sappers is changing a toddler diaper. 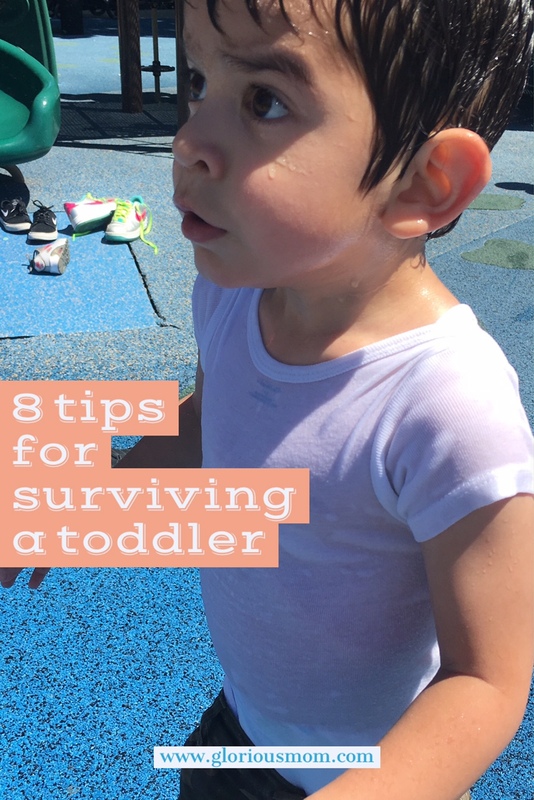 If they’re not trying to crawl away (and the older they get, the stronger they get, often resulting in a battle of wills), they’re kicking you in the stomach or sticking their fingers in the poopy mess. Keep those hands and eyeballs occupied! Give them a book, a favorite toy, or even your phone. Make it easy on yourself. 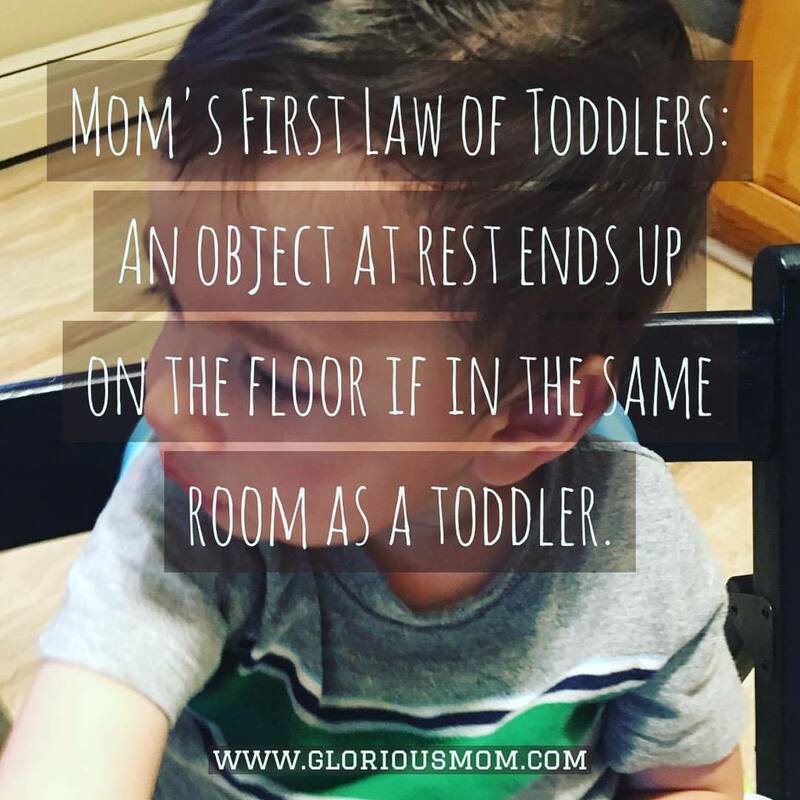 When we moved my toddler Zachary upstairs into a room by himself, he immediately started sleeping longer. We blacked out the window so the room was nice and dark, and the rest of the family was downstairs, so sudden noises weren’t disturbing him. The result was he slept for one to two hours longer than he had before! It’s definitely worth a try! If your toddler is extra-whiny and tantrum-y, there’s probably a good reason. They’re just learning to communicate the way they feel. If naps or nighttime sleep doesn’t go well, they don’t manage being exhausted as well as you (and that’s saying a lot). Their body is changing. They’re constantly learning new skills, and dealing with the frustration of not being able to do things. So be firm and consistent in discipline, but double up on kisses and hugs! A little empathy goes a long way in this stage. I always say the eighteen months through two and a half years old window is my favorite. They’re a lot of work, but they’re so cute and fun! Try not to get caught up in not having time to yourself, because they won’t always be this cute! Even the not-talking part: my four-year-old never stops talking. I almost miss the toddler days when she was just getting started. Remember to enjoy this time, because you’ll get alone time soon enough. Oh my gosh. With each point, I liked it more and more. I was like that’s true. Dang, that’s true. That’s true. This post is on point. It’s correct, if they are cranky there is usually a reason. They can’t communicate like we can. Very good post. Excited to share it with my friends. Lol, thanks! They sure keep us on our toes! Coffee coffee coffee yes…lol and I like the part about screen time. Using the bible app is such a great idea. I will have to remember that one!